Growers are including more herbs in their spring crop mix. 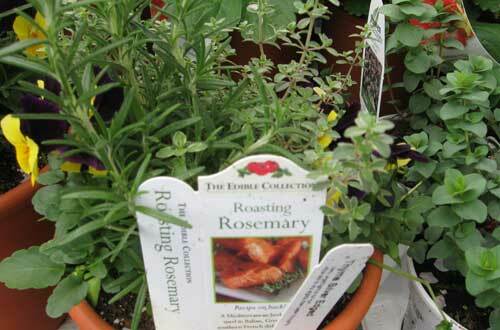 Herbs can be marketed for their culinary, fragrance, medicinal and ornamental uses. However, they are considered to be a minor or specialty food crop and there are few pesticides registered for use on them. A review of pesticide labels indicates only a limited number of insecticides and fungicides are labeled specifically for herbs grown in greenhouses. In addition, no growth regulators are labeled for use on herbs. The maximum safe amount of residues, known as tolerances, must be set for every food use before a pesticide is registered. If the "days to harvest" (the minimum number of days between the last pesticide application and harvest) are followed, the residue on the crop should be below the tolerance level. Most herbs are considered to be "herbs and spices" but a few, such as parsley, may be considered "leafy vegetables." Integrated Pest Management (IPM) offers a practical way to effectively manage pests on herbs. High quality herbs can be grown by using regular monitoring, accurate problem identification, sound cultural practices, and timely implementation and evaluation of appropriate management strategies. IPM brings together all available management options including cultural, physical, mechanical, biological and chemical tactics. Regular monitoring can alert growers to developing pest and cultural problems while they are still minor and can be more easily managed. To begin, obtain up-to-date cultural information and schedules for producing herbs as bedding plants. Many herbs are native to regions with soils that are neutral to slightly alkaline. They grow best in a very well drained growing media with a pH range of 6.0 to 7.0, but tolerate pH outside of this range. Herbs generally prefer a drier growing media and lower fertility levels than do bedding plants. Drier growing conditions help prevent diseases such as root rots, downy mildew, bacterial leaf spots, and Botrytis gray mold. Some herbs, however, such as basil, parsley and a few mints, prefer moist conditions. Proper scheduling, spacing and sufficient light levels are needed to avoid leggy, overgrown herbs. If started to early, fast growing herbs can easily become overgrown. Most herbs can be grown at the same temperatures as bedding plants: 70 to 75 °F day temperatures and 60 °F night temperatures.